I must confess that I did not know much about the Warner Textile Archive until a friend asked me to visit the Archive’s annual textile fair with her. Never one to turn down a day-trip we set off early one Sunday morning to Braintree in Essex. It is perhaps surprising that the Archive is not better known. 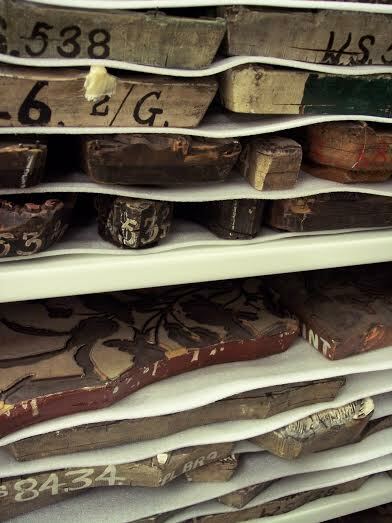 It holds the second largest collection of flat textiles in England, a staggering 100,000 items, including 60,000 textiles and 10,000 paper designs all of which tell the fascinating story of Warner & Sons (1). From the family business of Jacquard loom harness building in eighteenth century Spitalfields, Benjamin Warner diversified into silk weaving. Partnerships with other manufacturers and expansion led to the move in 1895 to Braintree and the opening of a second factory in Dartford in 1927. However the prohibitive cost of hand weaving and greater worldwide competition led to decline and finally closure in 1971. 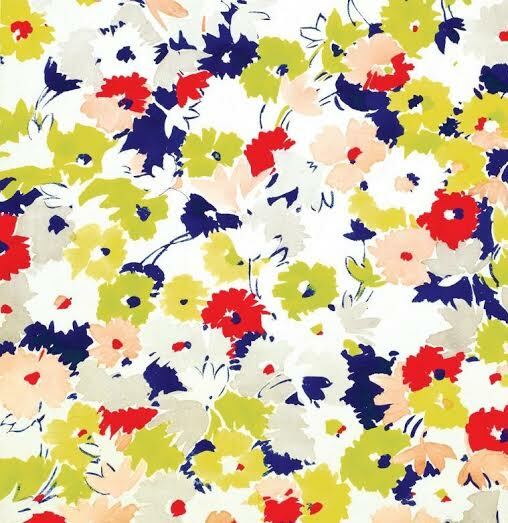 The German manufacturer Zimmer and Rhode now have a license for a selection of Warner fabrics, but the Archive still licenses the paper designs it holds. 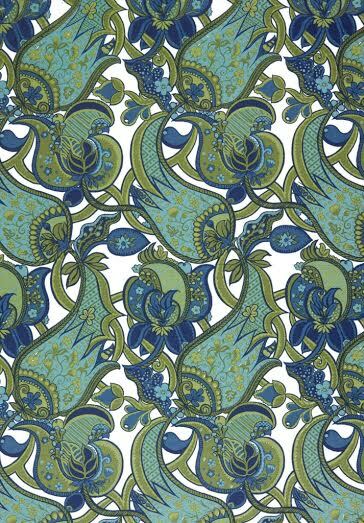 In its heyday Warner & Sons employed some of the most innovative designers of their era: William Morris, Owen Jones, Marianne Straub, Alec Hunter and Eddie Squires to name just a few. These designers alongside the weavers created fabrics that still adorn palaces, churches and many prominent stately homes. 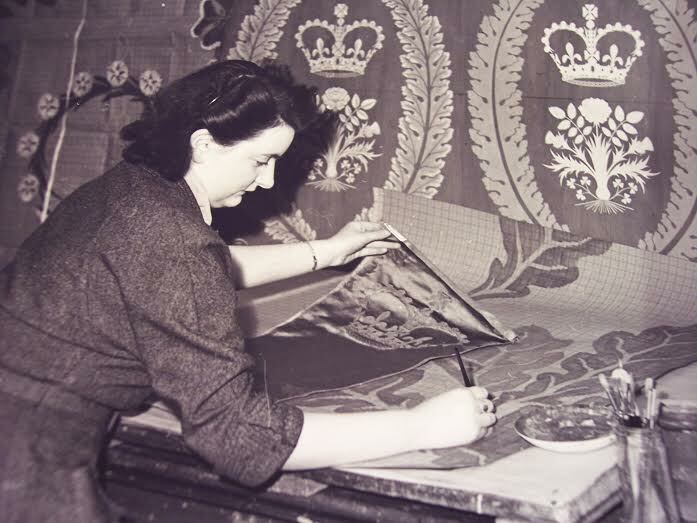 The factory made fabrics for all English coronations since 1902 and for several royal weddings including elements of Queen Mary’s trousseau and the silk satin for the train of the Queen Elizabeth II’s wedding dress in 1947. Warner & Sons did not just produce cloth for the luxury end of the market. 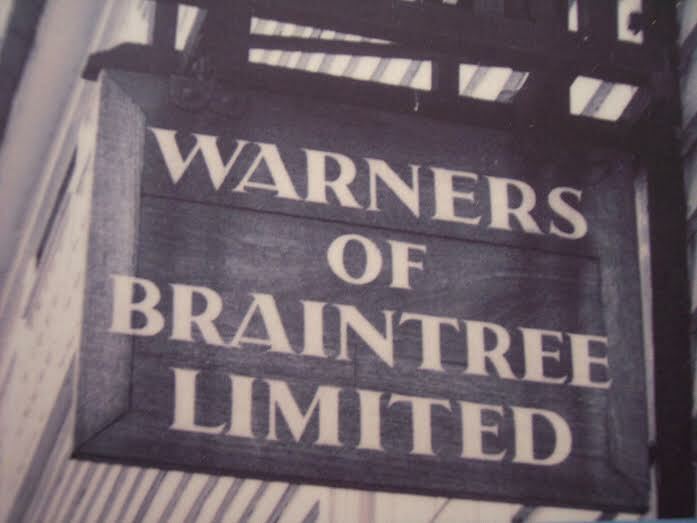 After the introduction of the power loom to the Braintree Mill in 1919 and printed fabrics from the Dartford factory from 1927, Warner’s fabrics could be found in more and more homes. During both the First and Second World Wars the looms made cloth for cartridge bags and then silk or nylon for parachutes. And in 1951 Alec Hunter and Marianne Straub designed fabric for the Royal Festival Hall during the Festival of Britain. During our tour of the archive we were shown a selection of textiles produced at the Braintree mill. The example that excited most comment was a three-pile velvet Madonna, made in 1915. This was an extraordinary piece, one of about 20 produced between 1915 and the mid 1930s. These were made solely for exhibition and are unique. They were woven over three different heights of wire, which created a stunning three-dimensional effect. In 1926 Warner & Sons won a gold medal at the Paris Exhibition for the three-pile velvet Braintree. 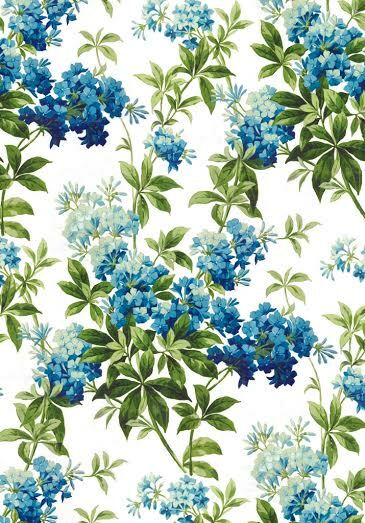 Sadly the advent of the Second World War resulted in this textile’s demise. After the War many of the master weavers were too old and the looms and their plans had been lost. Jan Weavers who led the tour certainly gave us a privileged look into a fascinating collection and its development over the twentieth century. It is fortunate for all those interested in textile history and manufacture that the Archive was saved in 2004 and brought back to its home in the New Mills. If you fancy taking a look, information on the gallery opening times and archive tours can be found at http://www.warnertextilearchive.co.uk.